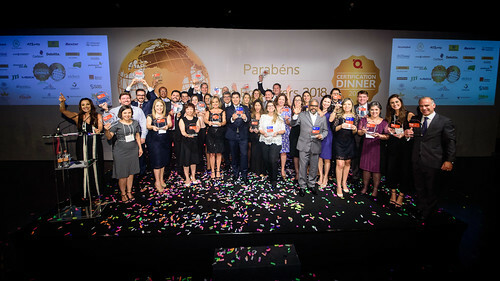 HR and executive teams of the certified Top Employers organisations from Brazil gathered to celebrate their outstanding achievement. This year we welcome Top Employers from Brazil to celebrate their success during the Certification Dinner 2018 in São Paulo. Our Certification Dinner is an unforgettable moment where these organisations's HR and executive teams get personally recognised for their contribution to the world of work.